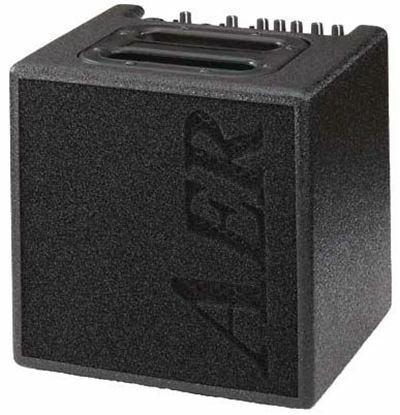 Mega Music are the people to turn to for high quality acoustic amplification of the AER kind. There comes a time when your acoustic playing needs a little volume and there are few companies as dedicated to capturing the true sound of acoustic guitar than AER. These guys produce superb amps that range from entry-level (Alpha), standard (Compact, Domino) to professional (Compact XL, Domino 3, Basic Performer). With great sound and compact professional looks, these are the amp for the acoustic purist or those needing live acoustic sound. 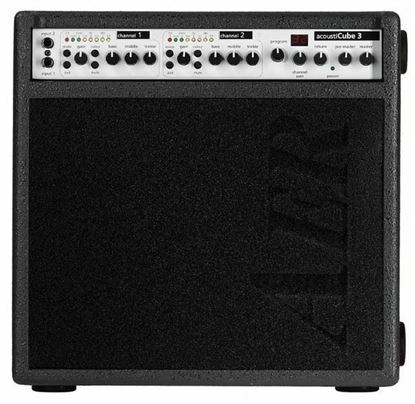 Browse and purchase AER acoustic amps on-line with us or take a trip to a Mega Music store for a closer look - and listen. Top of the range audiophile level acoustic amplification. One channel but two independant input stages (line and microphone/line) the Alpha offers you various options in signal processing.